"Very strong on IT-related matters with good clear advice." Nicholas Saunders QC has a broad practice which encompasses commercial, competition and intellectual property law. He has a strong technical background and is usually instructed in complex cases including financial, telecoms, IT and pharmaceuticals disputes. He is regularly instructed relatively close to trial in major cases where effective cross-examination and presentation of technical expert evidence is critical. In the last three years he has argued over twenty cases before the Court of Appeal, Supreme Court, Court of Justice of the EU and EFTA Court. He also has extensive trial experience where his recent work has included leading the trial of a $100m commercial claim against a state oil and gas company, leading a very large claim against the Libya Africa Investment Authority in the Commercial Court, arbitrations relating to licensing of standard essential patents, cross-examining technical expert witnesses in a trial relating to the design of chemicals plants in which his clients were awarded damages of $96m, appearing in numerous patent infringement and validity proceedings, and acting in a substantial High Court trial relating to an algorithmic trading hedge fund. Nicholas has experience of a wide range of commercial work in the Commercial Court, Court of Appeal, and arbitrations under LCIA, SCC and UNCITRAL rules. He is regularly instructed in cases which involve conflict of laws issues or which require urgent ex parte applications. His recent commercial cases include a substantial number of commodities and oil and gas disputes such as Bioromoil v Vector Energy (LCIA arbitration); OMV Supply and Trading v Kazmunaygas (Commercial Court, Court of Appeal, interpretation of CIF contracts, misrepresentation and rectification), Global Coal v London Commodity Brokers (High Court, trading on SCOTA terms). In Catalyst v Libya Africa Investment Portfolio (Commercial Court) he led a substantial claim relating to breach of an agreement to provide investment management services. In Coward v Phaestos he acted as lead junior at a substantial trial relating to a quantitative hedge fund. He has also acted in a number of commercial fraud cases including Fortress Recovery Fund v Blue Skye (Commercial Court fraud action relating to the restructuring of a fund and issues relating to scope of freezing injunctions). He has also appeared in a series of cases involving conspiracy and breach of confidence issues following the departure of employees to competitors including Software Cellular Network v Tomlinson and others; Datafind v Sugden; Microgenix v Hall and others; and Epic Advertising v Cho Yung and others. He has acted in a number of cases involving claims for Wrotham Park damages including a recent high value arbitration, and a series of arbitrations relating to intellectual property licensing with a combined value of over $2 billion. He led for the claimant in Medical Research Council v Celltech R&D (High Court) which was a substantial claim for underpaid royalties under a patent licensing agreement. His insurance cases include Mutual Energy v Starr (High Court claim relating to failure of the electricity cables between England and Northern Ireland) and advice to various mutual insurers. For a number of years Nicholas has also been ranked in the top tier for information technology disputes and his cases in that area include HMRC v EDS (tax credits IT system implementation); Secretary of State for Health v Fujitsu (very substantial arbitration in which he acted for Fujitsu in relation to the NHS IT systems dispute); O2 v Fujitsu (High Court claim relating to O2’s IT systems); and a number of confidential arbitrations. He has also acted in several confidential defence related commercial disputes. The majority of Nicholas’ competition law work relates to the interaction between competition law and intellectual property. He has a considerable amount of specialist knowledge in this area and has acted in a number of leading cases relating to ‘euro defences’ to IP infringement and in connection with FRAND and RAND licensing including Unwired Planet v Google, Samsung and Huawei, Nokia v IPCOM, Philips v Amino, and several confidential arbitrations. His more general EU law work has included advising in relation to free movement of goods and the customs union and he has appeared in a series of cases involving the relationship between free movement and intellectual property rights including Speciality European Pharma v Doncaster (High Court, Court of Appeal); Flynn Pharma v DrugsRUs and Tenolol (High Court, Court of Appeal) and Philips (CJEU, free movement of counterfeit goods). He has also acted in a number of disputes between airlines and airports relating to EU legislation on slot handling and airport handling fees including Ryanair v Gatwick Airport and Ryanair v BAA (both before the Civil Aviation Authority). Nicholas has also acted in a number of cases involving the relationship between EU law and direct tax legislation including Coin a Drink v HMRC (principles of effectiveness and equivalence), Monitor Audio v HMRC (qualification for research and development tax credits), and Timac Agro (CJEU, transfer pricing and freedom to provide services). Nicholas’ recent IP cases cover the full spectrum of IP work and include leading the Government’s defence to a challenge to the UK trade mark legislation before the Court of Appeal and Supreme Court in Twentieth Century Fox v Comic Enterprises, defending Cadbury’s appeal against grant of a trade mark for the colour purple, and appearing for the United Kingdom before the Grand Chamber of the CJEU in a case about Christian Louboutin’s red-soled shoes. His patent work focusses mainly on telecoms and pharmaceuticals disputes. He has appeared in most of the recent UK telecoms patent infringement cases (including Interdigital v Nokia; Nokia v IPCOM; HTC v Nokia; Unwired Planet v Google, Samsung and Huawei; and Apple v Qualcomm) and is acting in Warner Lambert v Actavis on second medical use patents which will be heard by the Supreme Court in February 2018. His other patent disputes include appeals about patentability (Samsung v Comptroller, Nduka v Comptroller, Epshtein v Comptroller), infringement and validity cases such as Orasure v Sixtem Life (High Court, medical devices), Danisco v Novozymes (High Court), Appliance Brassware v Altecnic (High Court patent infringement relating to plumbing equipment), Liffe v Pinkava (Court of Appeal, ownership of employee inventions), GPS Industries v Prolink (High Court infringement action relating to GPS on golf carts), Nichia v Seoul Semiconductor (High court infringement and validity relating to blue LEDs), Philips v Amino (High Court MPEG patent infringement) and Schuch’s patent (High Court infringement claim relating to a tarpauling mounting system on trucks). He has also appeared in most of the recent major cases on Supplementary Protection Certificates including Merck (High Court, end of procedure notices), LN (CJEU, medical devices), Teva v Gilead (CJEU, meaning of ‘basic patent in force’), Pharmaq v Intervet (EFTA Court), and Actavis v Boehringer (CJEU). His trade mark cases include Speciality European Pharma v Doncaster (High Court, Court of Appeal trade mark infringement and parallel imports); Flynn Pharma v DrugsRUs, Tenolol (High Court, Court of Appeal trade mark infringement and parallel imports); Hauck (CJEU, three dimensional trade mark); Canary Wharf v Registrar of Trade Marks (High Court appeal, absolute grounds); Jacobson v Globe (High Court, Court of Appeal, trial relating to stripes on the sides of shoes), Cadbury v Registrar of Trade Marks (High Court, Court of Appeal, appeal relating to a trade mark for the colour purple), Nestle v Cadbury (CJEU, 3 dimensional trade mark for the shape of the Kit Kat); Norwegian Board of Intellectual Property Rights (EFTA Court, absolute grounds for trade mark registration and relevance of ordre public), Ruuki Group (High Court and Court of Appeal trade mark appeal), Weightwatchers v Tesco (‘points’ trade mark infringement action); Easynet Group v easyGroup (absolute grounds appeal to the High Court); Solid Floor v Fetim (absolute grounds appeal); Iron & Smith (CJEU, reputation in the Community); Philips (CJEU, counterfeit goods regulation); Beverly Hills Polo Club v Sports Direct and others (High Court infringement trial). 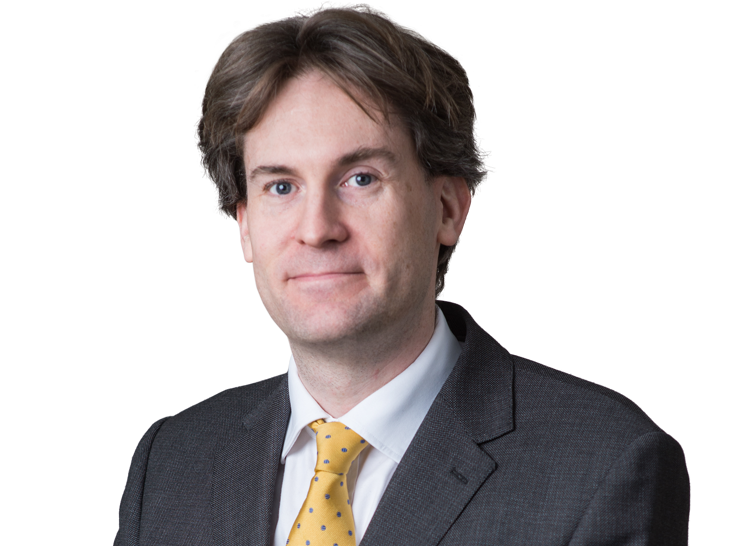 He has also acted in a number of trade mark appeals to the General Court and CJEU including: Psytech (16PF); Zipcar; Aurelia; Pineapple trade marks; and Stategies v Strategi. His recent copyright cases include BASCA v Secretary of State for Business Innovation and Skills (judicial review concerning whether the UK’s private copying legislation was compatible with EU law); Svensson v Retriever (CJEU, whether internet links infringing); Public Relations Consultants v Newspaper Licensing Agency (CJEU, e-commerce directive); Art and Allposters (CJEU, distribution right and transformation of copyright work); Stichting Brein v Ziggo (CJEU, communication to the public and liability of internet service providers in connection with The Pirate Bay); Levola Hengelo (CJEU, whether copyright subsists in the taste of cheese); Pelham EA (CJEU, music sampling and phonograms); Funke Medien (CJEU); Spiegel Online v Beck (CJEU); Vereniging Openbare Bibliotheken (CJEU, rental and lending rights for e-books); and Verlag Esterbauer (CJEU, database rights in maps). Many of his cases concerning Community and UK design rights relate to the fashion industry including Karen Millen Fashions (CJEU); Knitmania v Rushlevel (High Court trial, design of t-shirts), and a series of High Court actions in which he acted for Superdry: Laundry Athletics v Arcadia Group; Laundry Athletics v Wondertype; Laundry Athletics v Sainsburys; Laundry Athletics v Boi Trading; Laundry Athletics v Fashion Union and the Officers Club; Laundry Athletics v Superfly; Laundry Athletics v Cult Retail; Laundry Athletics v Visage and Fashion Direct; and DKH Retail v Price. Nicholas has also acted in a number of cases related to counterfeit clothing and other goods such as Chanel v Zou. His industrial design cases include Linpac materials v Polymer UK (High Court design right claim), OHIM v Group Nivelles (CJEU, appeal relating to scope of relevant prior art in design cases); and Funtime Handels v H Van der Beek (High Court claim relating to Community and UK design rights in fair ground rides). Nicholas also regularly acts in media and entertainment cases including the Saxon case (Byford v Oliver which concerned ownership of IP rights when bands split up), he is acting for Duran Duran in the band’s appeal in the Court of Appeal against Sony in connection with the ownership of US copyrights (Simon Le Bon and others v Gloucester Place, Court of Appeal), and acting for Sean Combs in defence of passing off allegations in the High Court (Dearlove v Sean Combs). He also frequently advises bands, collecting societies and music publishers. He has also advised a number of well-known celebrities about issues relating to their image rights and trade mark issues. MA, PhD (Cantab). Awarded various scholarships and prizes including British Academy scholarships. Nicholas worked at CERN in Geneva developing detectors used in the Large Hadron Collider. Former lecturer at Cambridge University. Awarded Queen Mother and Harmsworth scholarships by Middle Temple. In 2014 Nicholas was appointed by the Attorney General as IP Treasury Junior (Standing Counsel to the Comptroller) and in that capacity regularly advises the Government and appears in intellectual property appeals and on behalf of the United Kingdom in cases before the European Court of Justice. He was previously on the Attorney General’s B panel of counsel. Nicholas is listed in each of the Legal 500 and Chambers and Partners as a leading barrister in intellectual property and information technology law.